So you have just moved into your new home here in Abu Dhabi and have sorted out all of unnecessary items that you will not be using. The home decor from your old home which simply does not fit-in in the new house, or that antique vase that has been lying in your old home for generations (but you never cared to find out it value). You piled and packaged all the items and decided to tuck them away at a storage facility in Abu Dhabi. Long-term storage units, usually allow customers to store their goods for extended periods of time. Most owners after doing so do not even care to visit their personal storage units in Abu Dhabi, until they really have a need for them and keep items such as expensive vases, art and much more in storage for decades on end. Always check for the amount of coverage provided before signing on the dotted line, to avoid huge losses down the years. 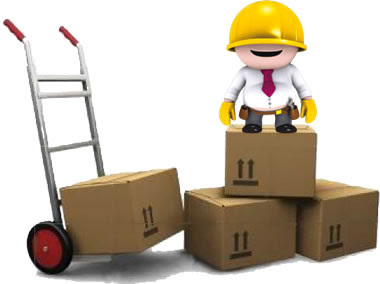 Of course, when you store with us here at The Box, we will by default ask you to insure your goods, giving you peace of mind and years of stress-free storage.In an unfortunate accident if a storage facility does happen to catch fire, they will lose their priceless artefacts, along with the value that was hidden with them. This is why it is always wise to insure your goods when you store with a storage facility; simply because you never know what may happen when. Most self-storage facilities in Abu Dhabi do offer third-party insurance which provides a good option for those looking for safe place to store something that is expensive and valuable—but you always have to ask.